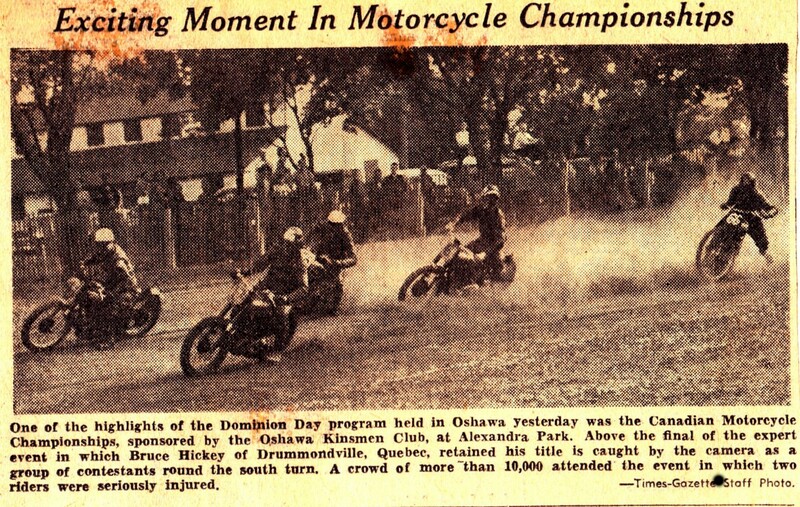 Bruce Hickey hailed from Drummondville, Quebec and rose to fame very quickly. He got a taste of what two wheels and an engine can do on a 74 Indian Chief at age 15. Then came a 500cc Matchless and Bruce had quite a time of it, turning a few back roads into a miniature Isle of Man; he soon knew that this was what he really loved. 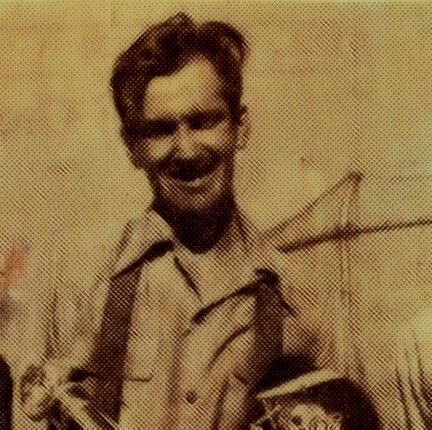 When war came, Bruce joined the Royal Canadian Air Force and became a fighter pilot in a Typhoon Squadron often flight detailed into enemy territory where he successfully shot down a number of German fighter planes. 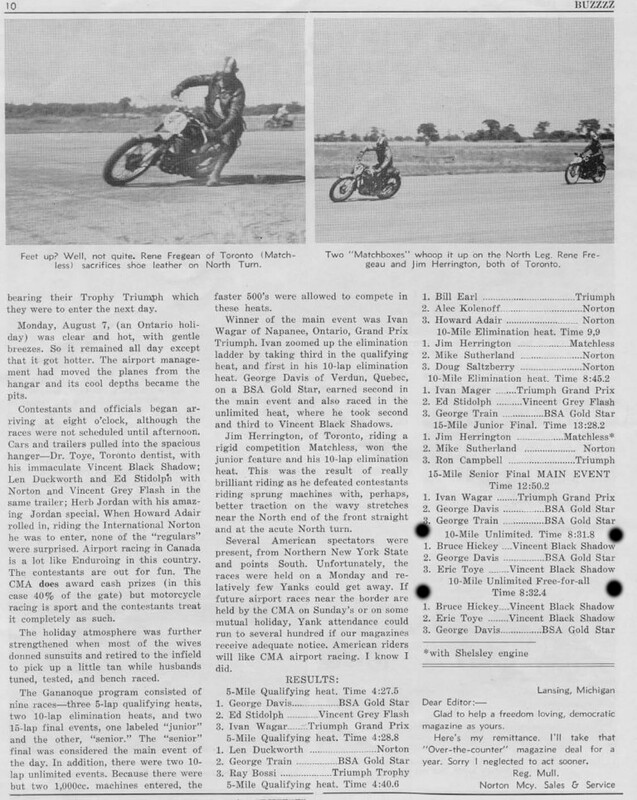 On his return home, he was accompanied by a Triumph Speed Twin and started doing a little racing. He decided to take a crack at the road races at Laconia. Starting in 34th position, he found himself among the top four after 6 laps but Lady Luck was not with him and a tire blew on the 7th lap. Now he started racing in earnest; ½ mile dirt track was his first choice and Bruce was a “natural” broadsliding around corners like a veteran and now knew why the good Lord had given him long legs. Alex Budd (Budd & Dyer Motorcycles) took notice and decided that Hickey was deserving of some help. He built a one purpose machine designed for ½ mile and ridden by Hickey and he did quite well on it. At this time, Bruce had been riding a Vincent “Rapide” customized to “Black Shadow” specifications and maybe a little better. Its performance was breathtaking and no one could get to Montreal from Drummondville faster then Mr. Hickey. Bruce was a good road driver with sound judgement and split second reflexes, both an absolute must! 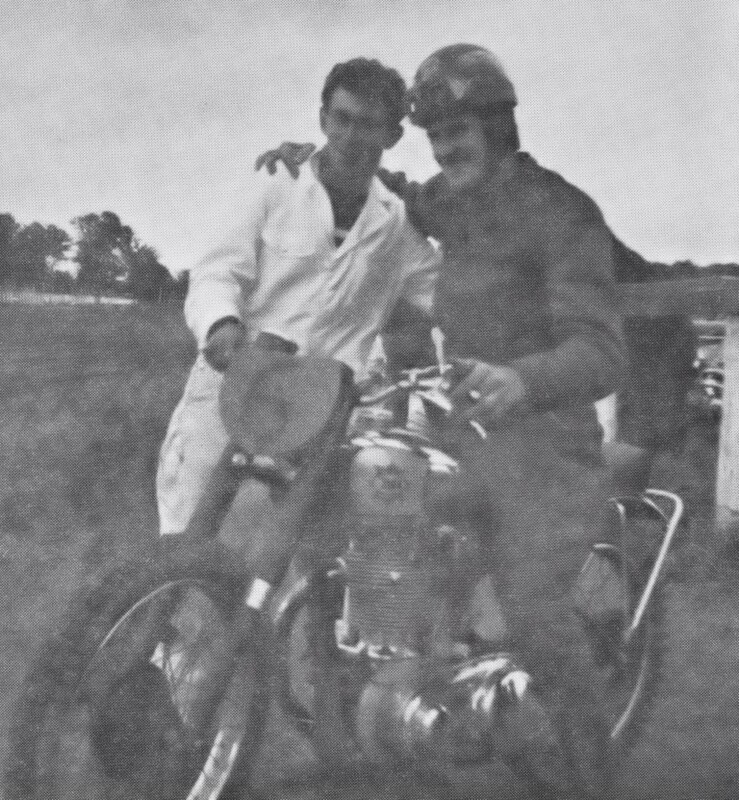 Bruce now had the opportunity to take his career a little more seriously and was offered Alex Budd’s personal “Black Shadow.” He had already ridden over 125,000 miles on his own Vincent and had the experience to race the faster machine. And fast he did go, for he won every race he entered on “Ole Black Joe.” In all his roadracing career, he lost only one race and that was to George Davis at St. Eugene Airport. 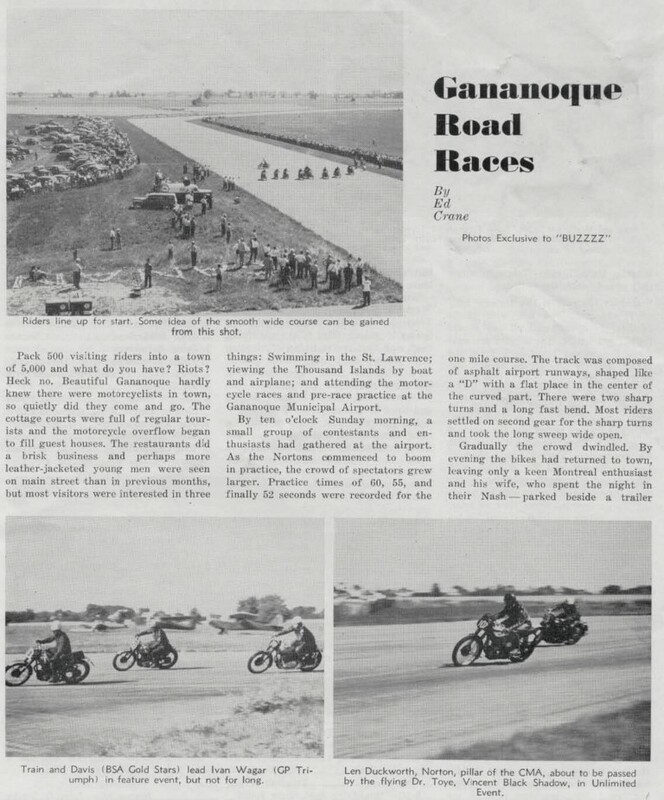 On the straight aways at Connaught Park, Ottawa, Bruce clocked 95.5 MPH and completed the first lap in 55 seconds and the second in 51 seconds, good for an average speed of 71 MPH. 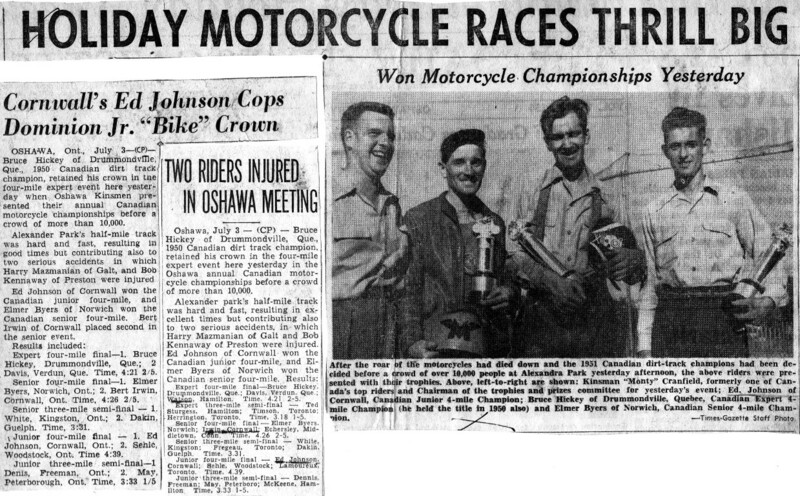 Bruce holds the 1949 Canadian Hillclimb Championship & 1950 Quebec Hillclimbing Championship, Canadian Roadracing Championship, 1950 Ontario as well as 1950 Quebec Roadracing Championship, 1950 Quebec Grass Track Championship and 1950 & 1951 Canadian Dirt Track Championship. The preceding information has been taken from early race results and reports in the CMA News. Bruce continued his winning ways but few details are available of later events. Bruce had always been admired for his good sportsmanship; win or lose he always smiled and there was never any feeble excuse when he lost.